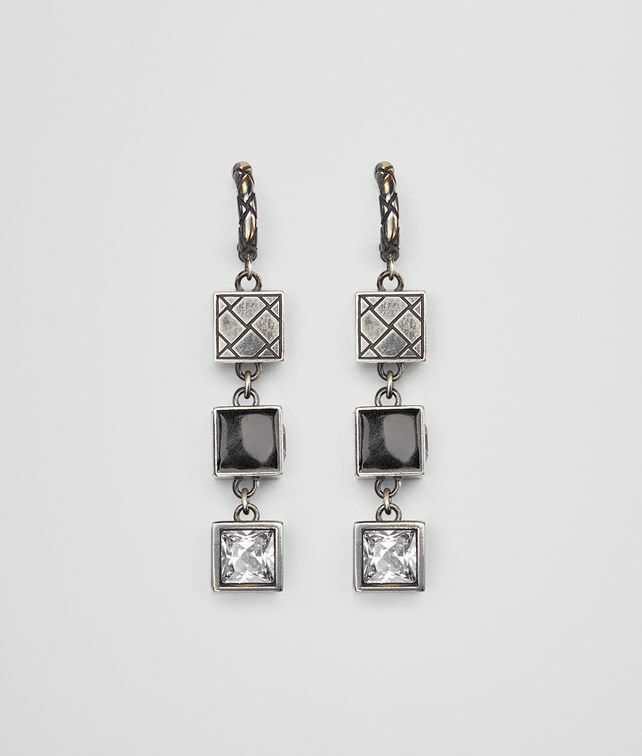 These earrings are from the BV Inlay Deco collection, inspired by the iconic architecture of New York City and featured in the Fall/Winter 18 collection. The dangling, three-tier style is made with cubes of silver engraved with the intrecciato motif, black enamel and cubic zirconia. The engraved silver hoops are brushed with a 24-karat gold patina. Height: 2.3 cm | .9"